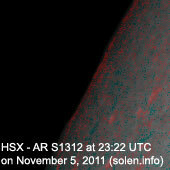 Last major update issued on November 7, 2011 at 05:20 UTC. 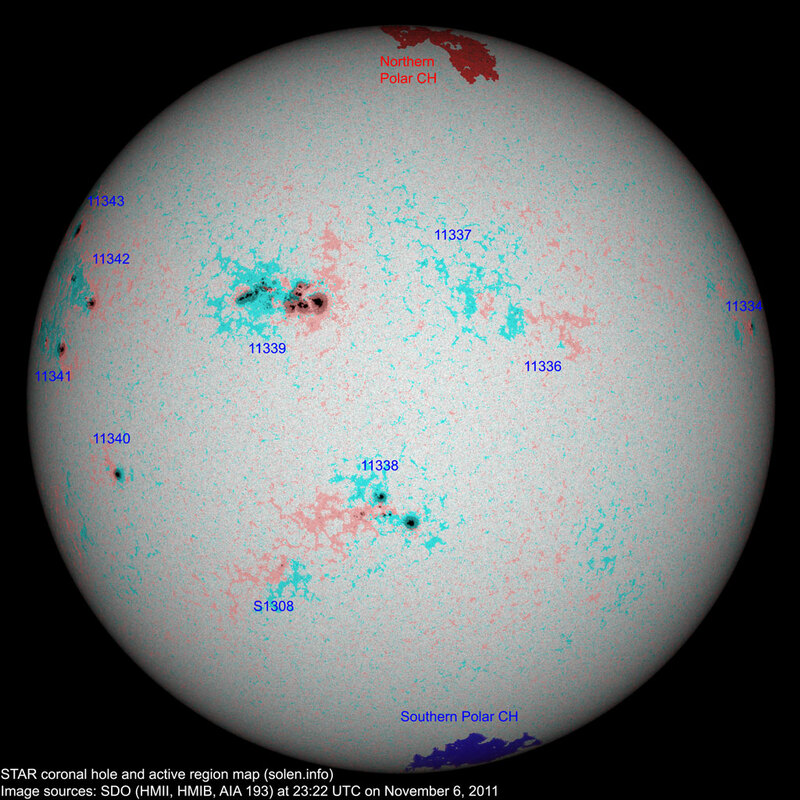 The geomagnetic field was quiet on November 6. 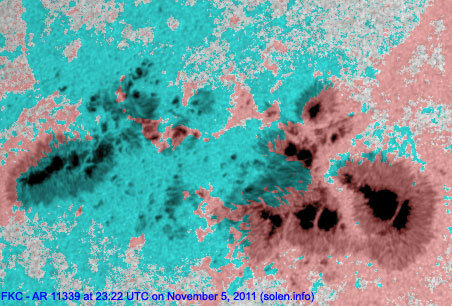 Solar wind speed ranged between 271 and 369 km/s. 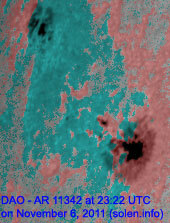 A weak disturbance was in progress during the latter half of the day. 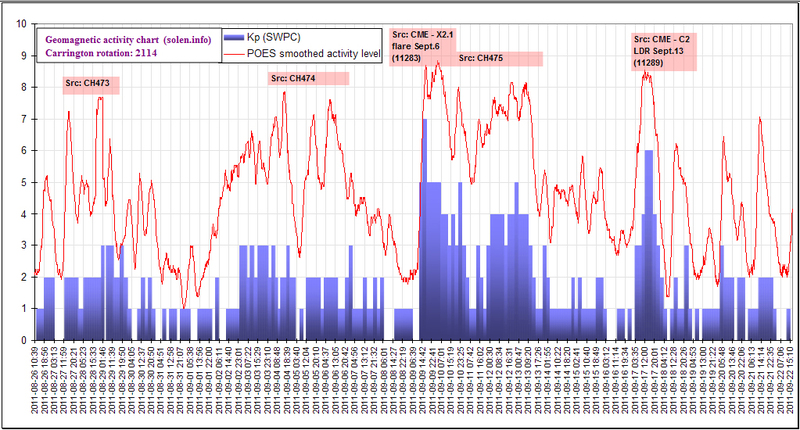 Solar flux measured at 20h UTC on 2.8 GHz was 176.7 (increasing 50.3 over the last solar rotation, and the highest (not enhanced by flares) measured solar flux of cycle 24). 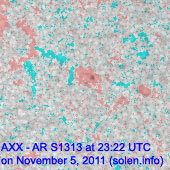 The planetary A index was 3 (STAR Ap - based on the mean of three hour interval ap indices: 2.8). 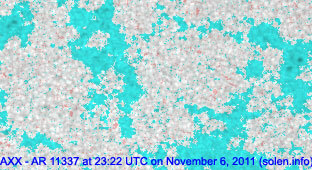 Three hour interval K indices: 10001212 (planetary), 00012312 (Boulder). 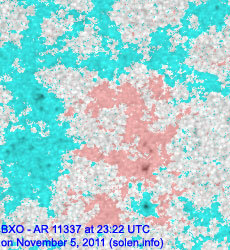 Region 11336 [N17W23] reemerged with several tiny spots. 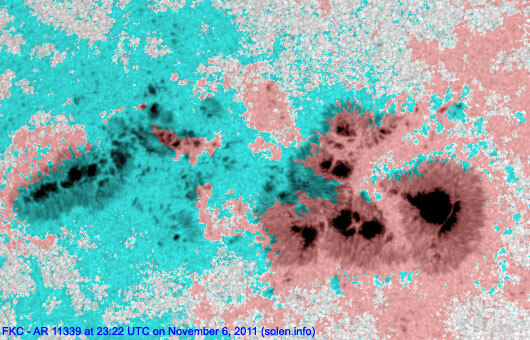 Region 11337 [N25W10] decayed slowly and quietly. 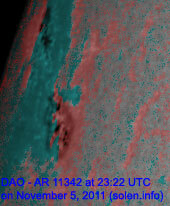 Region 11338 [S13E03] developed slowly. 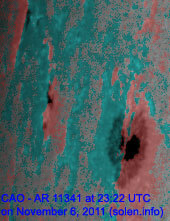 Opposite polarity spots with rudimentary penumbra could be forming a magnetic delta structure in the central southern part. 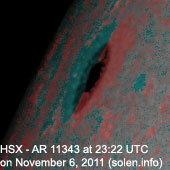 Flares: C2.3 at 08:16, C2.0 at 17:36, C1.2 at 19:58, C1.7 at 21:53 UTC. 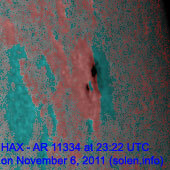 Region 11339 [N19E18] didn't change significantly and still has the potential to produce a major flare. 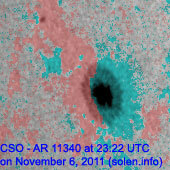 Flares: M1.2 at 01:03, M1.4 at 06:14, C8.8 at 09:56, C5.3 at 14:47 UTC. 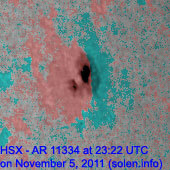 Region 11340 [S08E51] added a trailing spot and was quiet. 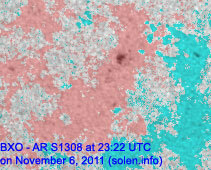 Region 11341 [N10E70] was quiet and stable. 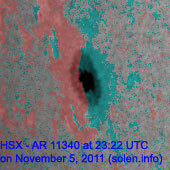 Region 11342 [N18E65] was quiet and stable. 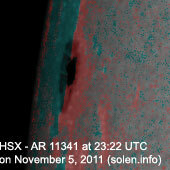 New region 11343 [N27E77] rotated partly into view late on November 5 and was numbered by SWPC the next day. 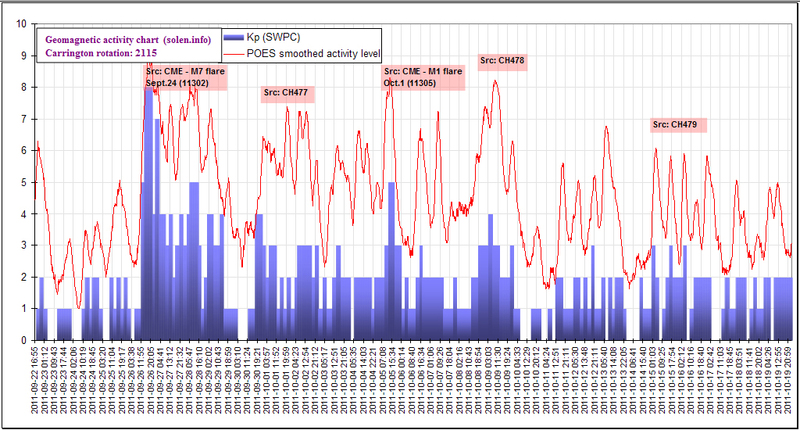 November 4-6: No obviously Earth directed CMEs observed. 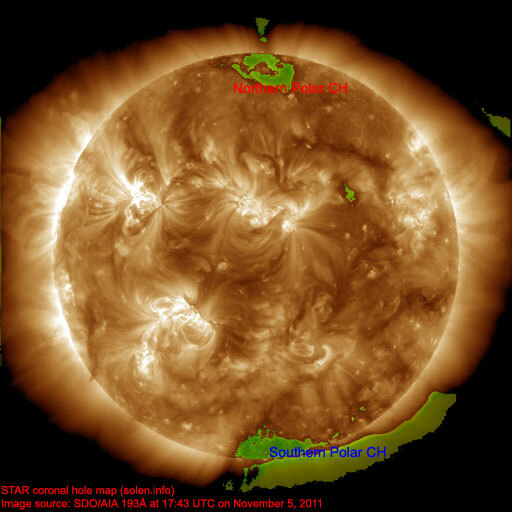 The geomagnetic field is expected to be quiet to unsettled on November 7 due to weak effects from CH484 and quiet on November 8-9.